The fight is won or lost far away from witnesses - behind the lines, in the gym, and out there on the road, long before I dance under those lights. 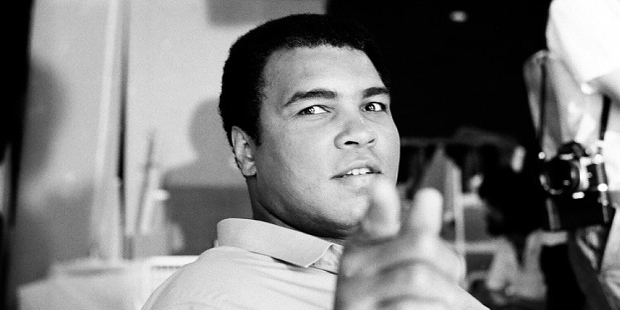 Muhammad Ali was born Cassius Marcellus Clay Jr., on January 17, 1942 in Louisville, Kentucky. He has been called the greatest boxer who ever lived and is the only person to win three heavyweight titles. He has been nicknamed, the Greatest. He was declared as the ‘Sportsman of the Century by Sports Illustrated and Sports Personality of the Century by the BBC. But the reason why he started to box is a very interesting one. When he was 12 years old, he and his friend had gone to the Columbia Auditorium to watch the Louisville Home Show where they were providing free hot dogs and popcorn for the visitors. When Ali and his friend finished eating and were planning to go back home, they found that Ali bicycle was missing. Ali was angry and went to report the crime to police officer Joe Martin who was also the boxing coach at the Columbia gym. Ali said that he wanted to beat up the person who stole his bicycle. Joe martin saw the rawness and confidence in the small kid to fight even someone older than him. So he offered Ali a chance to practice at his gym. Ali started training six days a week at Martin’s gym and would wake up early in the morning to run and build his fitness. 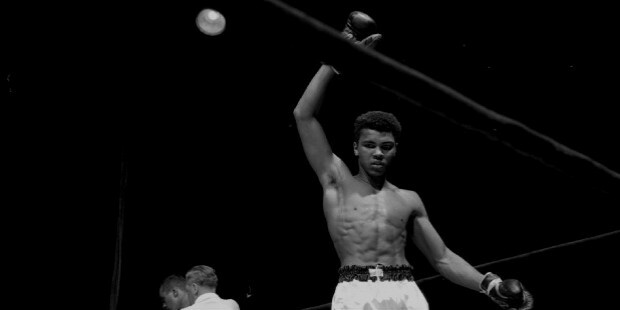 For a 12-year-old boy the amount of dedication and self-discipline that Ali had was unbelievable. Soon Ali began taking his diet seriously avoiding alcohol, cigarettes and the junk food he loved. He soon started training under Chuck Bodak. He won two national Golden Gloves titles, the Amateur Athletic Union National Title and the Light Heavyweight Gold medal in the 1960 Summer Olympics aged just 18. Ali’s boxing style was different from other amateur boxers, he never put his hands to protect his face or duck the punches thrown at him. 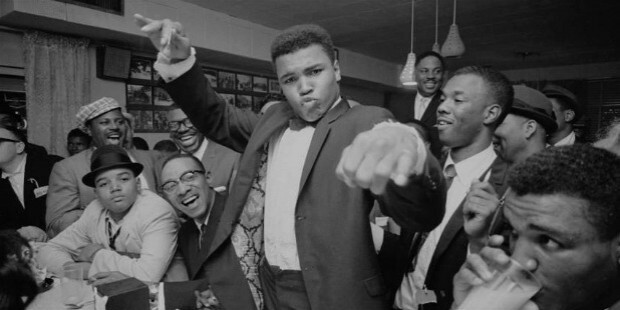 Ali was so quick with his reflexes that he just leaned back and threw a counter punch immediately. 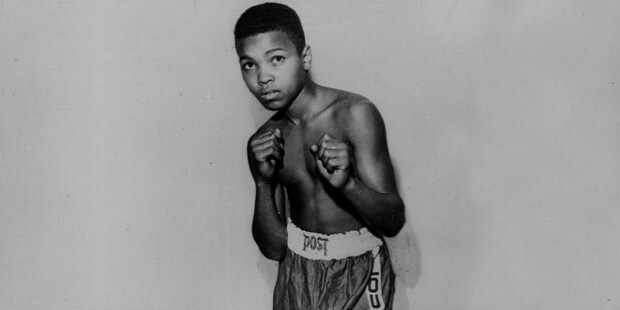 Ali became professional in 1960 and made his debut on October 29, 1960. He was the top dog in the sport and nobody could come close to beating him. Till the year 1967, he had won 29 matches in a row without losing even one. When he won the World Heavyweight Title in February 25, 1964 he was the youngest person to achieve this landmark. 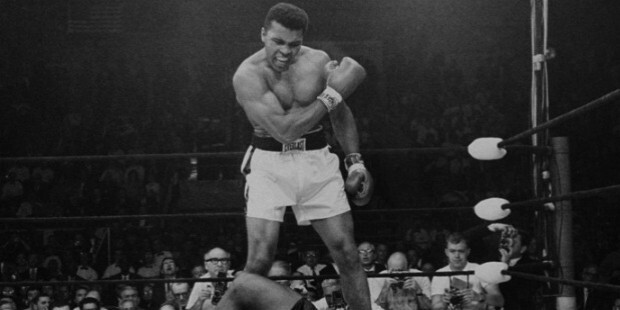 Soon after winning the championship, he changed his name from Cassius Clay to Muhammad Ali. In 1967, he refused to serve the U.S. army in the Vietnam War. This caused a huge uproar and thus disqualified him of his Heavyweight title and boxing license. 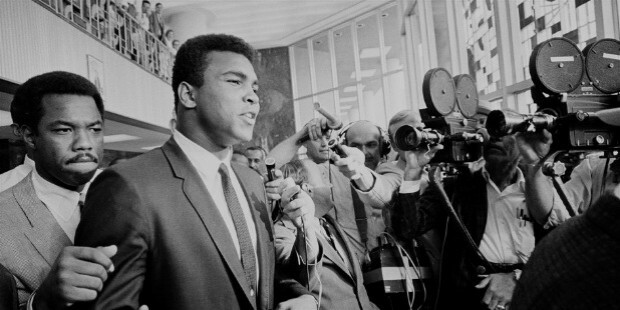 This meant that he was not able to fight in any state in the U.S. Ali was also charged of five years in prison which meant his boxing career was almost over. But Ali appealed against the decision in the U.S. Supreme Court. He was out of action for three and half years before the Supreme Court overturned his conviction. Now Ali was back in the ring but had lost out on the peak years of his boxing career. On the return he won in three rounds against JerryQuarry in October, 1970. But he did not have the same energy and speed in the boxing ring. He contested against Joe Frazier for the Heavyweight Title in what was called the Fight of the Century’. 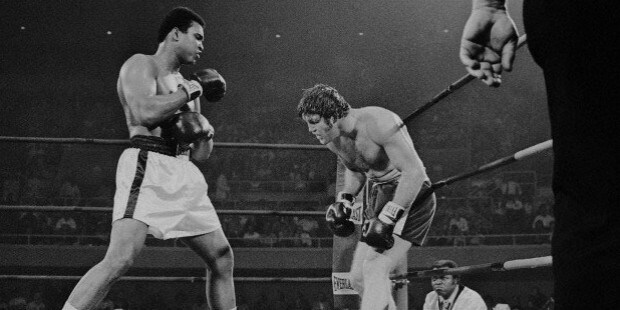 The fight lived upto its billing but Ali lost making the fight his first professional defeat. But in 1974, Ali came back to defeat Joe Frazier after a tough climb to the top. 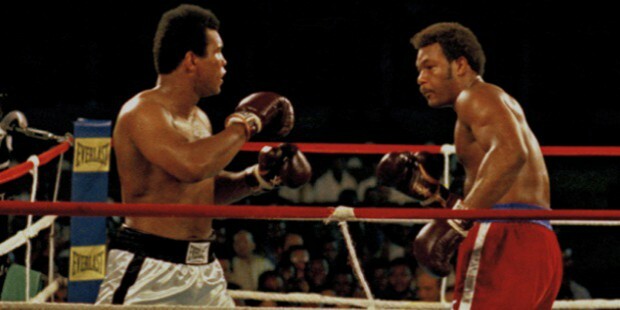 Now he challenged the Heavyweight Title holder George Foreman in 1974. Ali was 32, and many considered Ali to be incapable to match Foreman’s heavy punches. But Ali made history when he won that fight and regained his Heavyweight Title. Ali’s popularity had reached the skies, wherever he fought there were record audiences who came to watch him destroy his opponents. But the was surprised when he was defeated by Leon Spinks who was just a new comer. 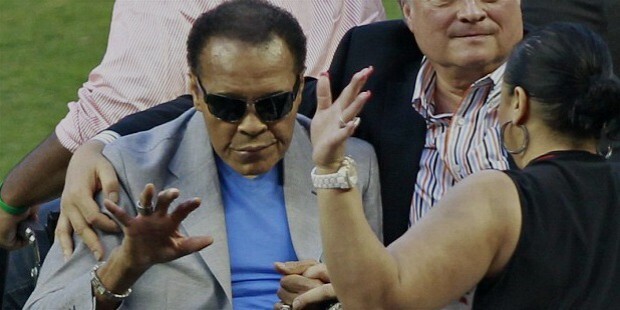 Ali admitted that he was not at his best and vowed to win back the title in a rematch. He won the rematch and became the first person to win the Heavyweight title three times. Following this win he immediately announced his retirement. Following that he fought in a few fights for the money but his declining health wouldn allow him any further. He was diagnosed with Parkinson syndrome in 1984 which was caused due to the pressure his vital organs were put through in the previous years. He was one of the most recognisable personalities in the 20th century. He generated high amount of interest in boxing and knew how to sell the fight to the audience. He had his own share of negatives which included taunting and ridiculing his opponents verbally. His attitude was not accepted by his opponents or critics but what he did in the boxing ring blew everyone away. His never dying spirit of perseverance has made his achievements all the more praise worthy. Ali discipline and courage took him from being a naughty fun-loving kid to becoming one of the best sportsmen the world has ever seen.